Intel has hit back at the rumours that it is holding back on USB 3.0 technology, amid suggestions that AMD and Nvidia are considering developing a rival. Intel are the driving force in the development of USB, which means that their rivals are now waiting for USB 3.0's specifications and guidelines in order to put the next-generation ports in their components. However, disgruntlement appears to be growing at Intel's lengthy consultation process, although, in truth, it seems highly unlikely that competitors would actually develop a rival to USB 3.0 and successfully market it to the public. 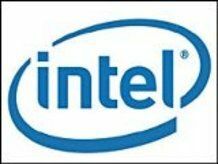 But the rumours have prompted a response from Intel who said in a blog post: "…Intel is investing heavily (think gazillions of dollars and bazillions of engineering man hours) in resources to create an Intel host controllers spec in order to speed time to market of the USB 3.0 technology. "Think of the host controller spec as a 'Dummies' Guide' to building a USB 3.0 compatible piece of silicon; it is NOT the USB 3.0 specification itself. The industry is keen to get this guide as it will allow them to build USB 3.0 compatible circuits without repeating the massive investment undertaken by Intel." It's an argument that is unlikely to go away any time soon.